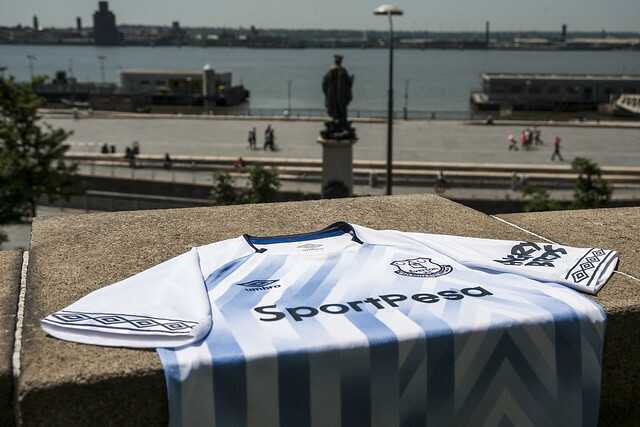 Everton and Umbro have revealed the Club’s new third kit for the 2018/19 season. The new fan-led design is inspired by the iconic Prince Rupert’s Tower which sits proudly on the Club’s crest. On the white jersey, the tower is featured as an abstract graphic across the chest in Everton blue, with Umbro’s iconic running diamonds on the cuff in peacoat blue, complementing the details in the collar and hem. 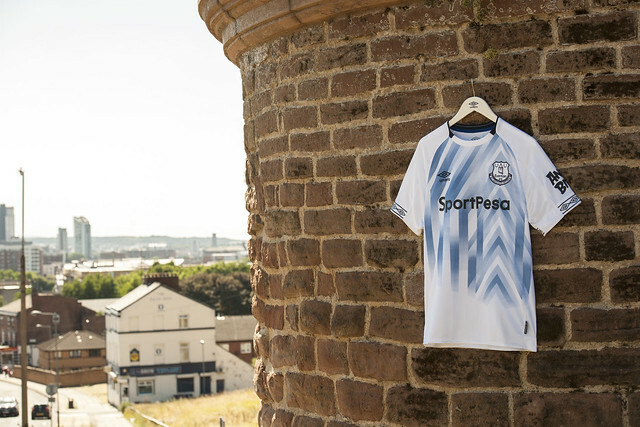 The shirt is completed by a Prince Rupert’s Tower symbol on the backneck area, a design feature that runs across all of the Club’s 2018/19 shirts. Set to be worn for the first time in Everton’s Premier League away trip to Bournemouth this weekend, the third strip is the final phase of the successful ‘Go On’ campaign, celebrating the Club, the fans and the city of Liverpool. The new strip is constructed from lightweight, durable fabrics with an ergonomic fit that can withstand the pressure of the modern game, giving players and fans freedom of movement and comfort. The three shirts have breathable underarm mesh panels for enhanced ventilation and stretch for all wearers. Accompanying the jersey, the peacoat blue shorts feature a white trim on the legs alongside the Club and Umbro logos. The white socks feature a blue and white trim as well as the Umbro logo on the shin. A cotton footbed provides improved breathability and comfort. 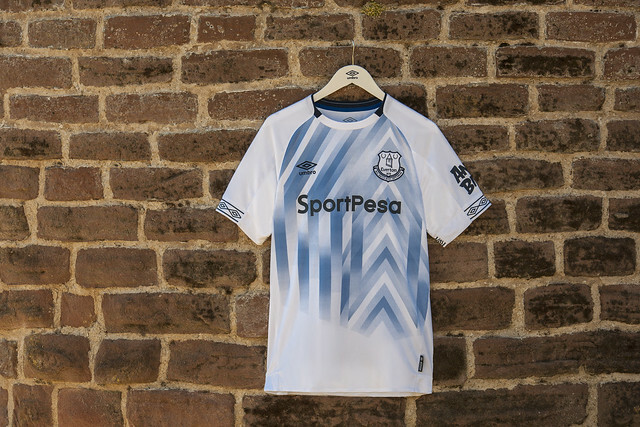 Everton and Umbro collaborated with fans to understand their preferences on various design features for the 2018/19 home, away and third strips. 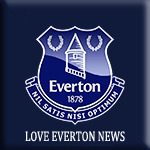 Within the engagement process, which saw thousands of supporters submit their opinions, many Evertonians spoke about the importance of Prince Rupert’s Tower as a symbol of the Club. Speaking about the new strip, Everton left-back Leighton Baines said: “I’m a big fan of the third kit. It reminds me of some of the great Umbro kits from when I was a kid. “I think it’s great that the fans were involved in designing it too, they’ve contributed to all three of our kits this season and that’s brilliant because they wear it too and they should feel proud of it. 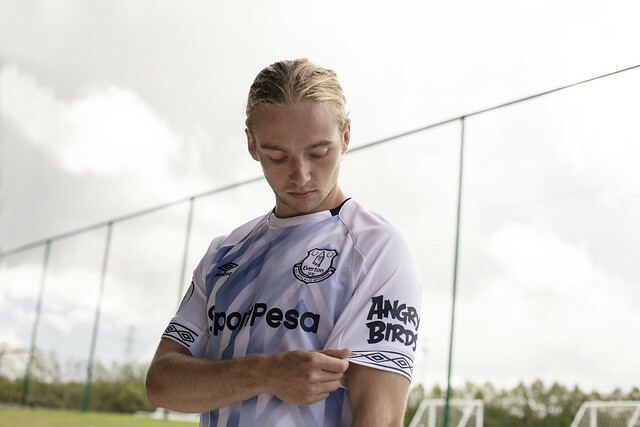 Unlike many other clubs, the shirts worn by Everton players and supporters are identical in construction and look, furtherdemonstrating the fan-centric approach of the Club and Umbro. The new Everton third strip is now available to purchase today in men’s, women’s, juniors, infants and babies’ sizes from Everton One at Goodison Park, Everton Two in Liverpool One or visit evertondirect.com to order online. Supporters can take advantage of a bundle promotion in-store to coincide with the launch of the new third strip. Blues can purchase three adult home, away and third shirts for a bundle price of £150 (saving a total of £5 per shirt or £15 in total). The offer is also open on kids shirts with a bundle price of £120 for three and offering the same £15 saving. Season Ticket Members can also benefit from an additional 10% off the bundle price by presenting their Season Card at the till point. Season Ticket Members are reminded that they can take advantage of their 10% discount in-store by presenting their Season Card. Everton and retail partner Fanatics offer a Click and Collect service that provides a more convenient collection method for supporters who order merchandise online. As well as still being able to collect their purchases from Everton One and Everton Two, supporters are able to pick up their parcels from any of the 5,000 Hermes Click and Collection partner sites throughout the UK. For more information about the Click and Collect service, visit evertondirect.com.